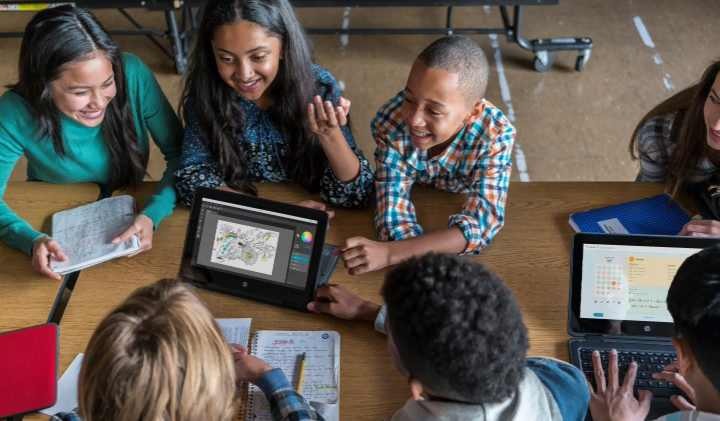 HP ProBook x360 11 Education Edition laptop announced today. The new laptop from HP is aiming to help education scenarios. The laptop also comes with special software to help students and teachers. For rough handling, HP ProBook x360 11 is covered by the industrial rubber casing. This help laptop from falls. You can also go for Gorilla Glass 4-strengthened panel. HP tested the device through various test process, which includes drop test. It is powered by Pentium N4200 or Intel Celeron N3350 processor and comes with the 11-inch display, 8GB of memory and 256GB of storage. The laptop offers 11 hours of battery backup on a single charge. It includes 1 USB Type C, 2 USB 3.0 ports, a headphone jack, Ethernet and a MicroSD reader. HP ProBook x360 11 Education Edition Laptop will starts at $329.